A Thousand Cranes - Round the World in 40 Minutes seed commission support from BLACK THEATRE LIVE & TARA ARTS. Come and help Puck from Shakespeare’s A Midsummer Night’s Dream on a journey to circle the globe to find a magic plant for his master Oberon the King of the Faeries. Join storyteller Kumiko Mendl and musician as they lead you on an exciting journey through the land of Tara - where magic doors open deep into the forest to discover why Oberon must be obeyed! 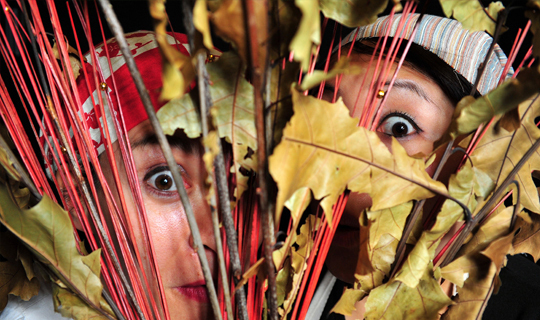 A Thousand Cranes is an Anglo-Japanese children’s theatre company developing stories especially for young audiences.